From the moment Dr. Martin was fitted with his braces – more than 16 years ago – he knew he wanted to become an orthodontist. Dr. Martin received his diploma in Medical Science in 1998 from the University of Moncton. He then enrolled himself in the four-year dentistry program at the University of Montreal, which he completed in 2002. In 2002, Dr. Martin enrolled himself in a one-year residency program at the world-renowned Sir Mortimer B. Davis Jewish General Hospital. At the end of his year in residency, Dr. Martin was asked to pursue his specialized training as a Clinical Fellow at hospital, overseeing the education and clinical supervision of the first-year residents. After completing his year as a Clinical Fellow, Dr. Martin was accepted to the University of Montreal’s three-year Masters Orthodontic program. He was able to successfully defend his Masters thesis and was asked to present his thesis in Canada and the U.S. In 2006, after successfully completing the examination from the Royal College of Dentists, he was awarded with his title, “Specialist in Orthodontics”. In June of 2007, Dr. Martin joined the very successful practice of Dr. R.H. Bezanson. Since that day, Dr. Martin offers orthodontic services to the Moncton, Miramichi, Amherst and Sussex area. 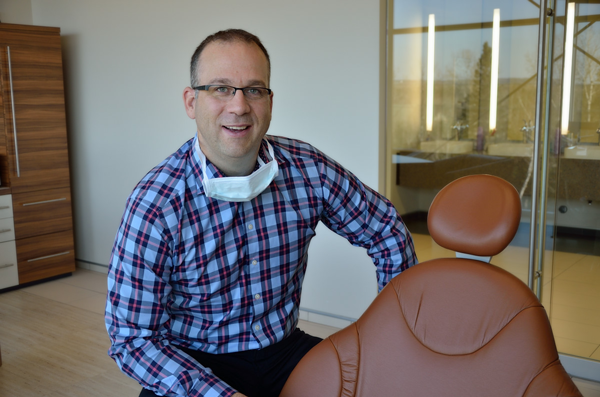 Dr. Martin has been a clinical instructor in orthodontics at the University of Montreal, and he continues to teach in the dental community by engaging himself in seminars and being the organizer of the annual Greater Moncton Continuation Education Day. Dr. Martin is also responsible for putting together the biggest dental study club in New Brunswick. Dr. Martin is also responsible for the orthodontic education of the dental hygienists and dental assistants at the Oulton College. Dr. Martin is able to maintain the highest quality of care by attending numerous innovative lectures, and by being a member of the Canadian and American Association of Orthodontists, as well as the New Brunswick, Nova Scotia and Moncton dental societies. Dr. Martin is also a fellow of the Royal College of Dentists of Canada (FRCDc) and part of the Canadian Dental Association. When he’s not busy in his practice, creating beautiful smiles, Dr. Martin loves spending time with his family and friends. He also enjoys golfing, traveling, cycling, and a nice evening out at a restaurant.